With all the customer and partner discussions I’ve had over the past many months along with our company’s product development path, one thing has become clear, IoT is here and it’s a journey. IoT is having a real impact by changing how products and solutions are created, refined, serviced and delivered. It is changing the way we operate our businesses and the way of doing business. IoT is changing how customers see the businesses they do business with. And from a digital transformation perspective, IoT is pulling together people, systems, and things at a rate we have never experienced before. However, realizing its potential starts with understanding the value it can bring. As IoT continues to evolve and the journey continues, IoT is not about being a revolution in technology, but rather an evolution in technology. It’s not just about connectivity or the number of devices but rather it’s about delivering real and relevant outcomes. IoT is changing business models, business capabilities and changing behaviors. When it comes to changes in behavior, I am sure you have seen some or even experienced them. For me, there are three that stand out; a change in behavior because of the edge; behavioral changes towards how we interact with data and behavioral changes as it relates to expectations. When it comes to the edge, IoT is contributing to the significant shift in the way people acquire information, interact with each other, and make decisions. It is enabling us to expand our reach to a range of equipment and devices that sit on the edge and enabling us to gather and analyze data and react to that data in a variety of applications that we’ve never seen before. The Internet of Things is allowing us to make devices that are smarter, more powerful, offer higher levels of functionality and increased storage capabilities that has moved us from connected devices to connected intelligence. IoT is changing our behavior by getting us closer to where the action is in real time and redistribute and process data independently at the edge. As a result, our behaviors are changing to act upon things close to, or at the edge. For data, it has changed the way companies in every industry does business and manages their business. IoT has led us to a new era where we’ve gone from the world of big data to one that is about capturing smart data from different sources regardless of format and making it useful across multiple applications. Now, we have the ability to tap into data that was either too cumbersome to access or was cost prohibitive. IoT has opened up an environment where we can access and exchange data from every device, where it can be self-describing with semantic modeling and common naming conventions. This in turn is providing us with the opportunity to re-think and take new approaches with data. As far as expectations, successful IoT plays require more than “being on the Internet” or simply adding connectivity to a product and charging for service. IoT offerings require value proposition(s) and design thinking from the set-go. It requires reimagining the business you are in, empathizing with your customers and their challenges, and creatively determining how to most effectively solve problems and meet expectations. For IoT to continue to advance, product makers must accept open and interoperability. The larger promise and greater value is delivered from being open, interoperable, integrated with data exchange within a secured environment. 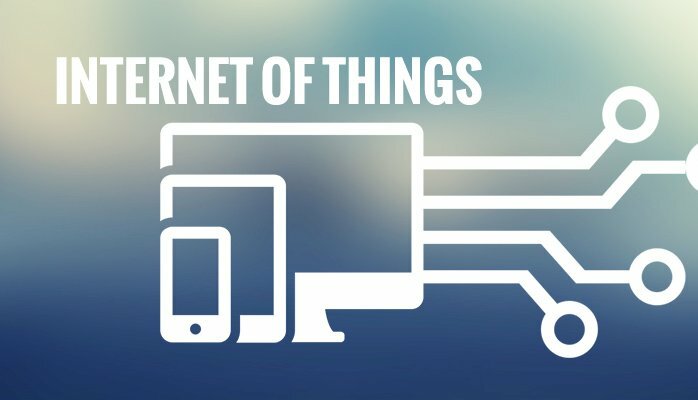 IoT represents diverse technologies and usage that enables unprecedented opportunities. IoT is about delivering business relevant outcomes, not just connectivity, products and technologies. There is a very clear link between the value delivered and the capabilities of each of the components that make up an IoT solution. IoT is on the frontline of our buildings and adding value to our traditional building systems. IoT is not just about connecting machines, devices etc., but collecting data, acting on that data and delivering services and value based on that data. I believe many are still trying to figure out what is the difference between “things on the Internet” and the Internet of Things. I believe it is not the number of devices that drives the IoT business value but rather business value is driven by the interoperability of related connected systems, machines, devices and things and making the data contained within them self-describing to enable the seamless integration across multiple applications that links and combines people and information to create new opportunities. While IoT is about many things, it is about behavior change and business opportunity, not just technology. As one individual put it, “The Internet of Things genie is out of the bottle and growing at an accelerating pace”. Adoption is no longer an option.